Welcome bags are an awesome way to greet your guest in their hotel room! 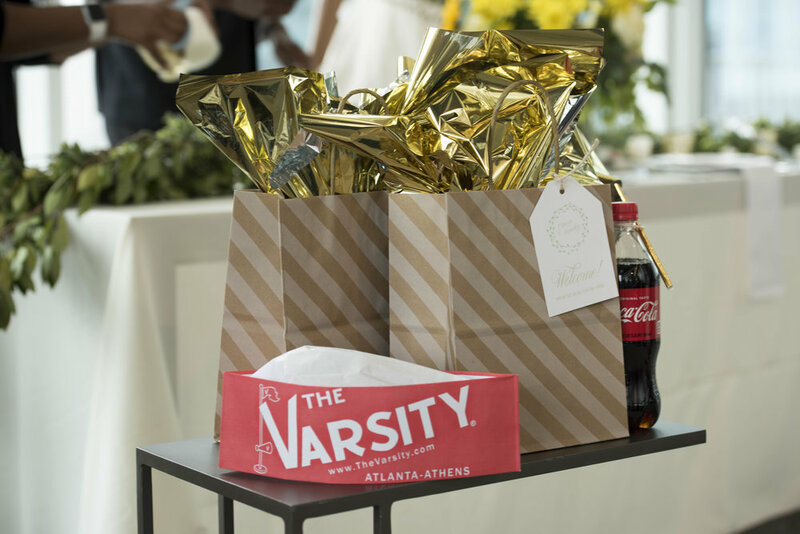 Welcome bags can be very simple or get very creative with personalized touches from the bride and groom. Here are some quick tips and tricks to create a welcome bag. Labels can range from stickers, tags, or a welcome card. You can order custom bags from Etsy with the bride and groom name on top. You can also create personalized stickers on zazzle. featured in our custom welcome bag is a tag by Interprintations. Bags can vary. Some great examples are tote bags for a summer beach wedding. Smaller bag ideas can be draw string bags for smaller contents. Hangover kits have also become very popular and can include the essentials (Tylenol and water). Many of these items can be found in target in mini versions in the travel section! What does our kit include?